There's 100 tiers worth of new items to unlock in Fortnite: Battle Royale thanks to the new season four Battle Pass, and they include some sweet new gliders and pickaxes. Whether you're farming materials or gliding into the map for the first time, you want to look good while doing it, and that's exactly what these new items are for. 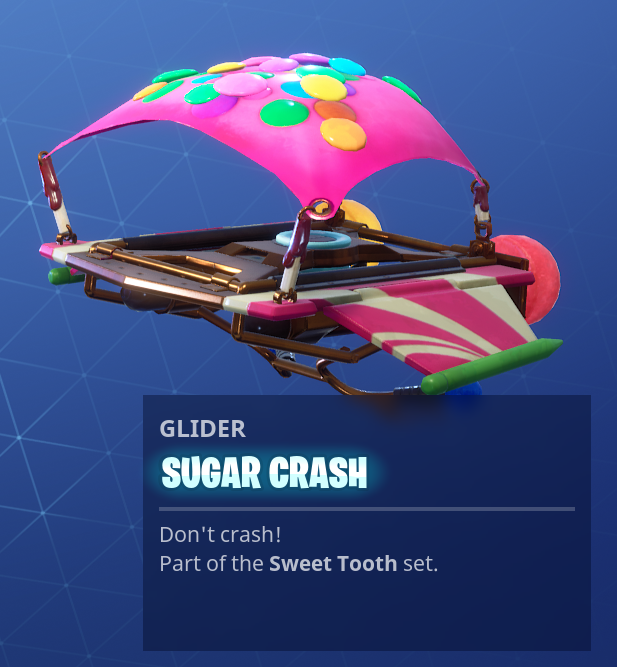 Sugar Crash is part of the Sweet Tooth set and it looks like something you wouldn't want to sink your teeth into unless you have great dental insurance. 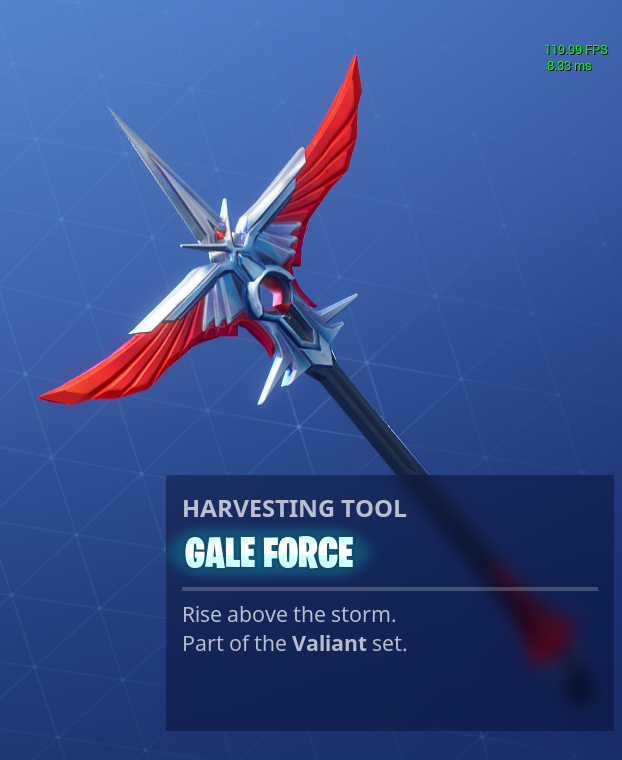 Wings of Valor matches perfectly with the Valor outfit and Gale Force pickaxe, and the whole set can be found within the Battle Pass this season. 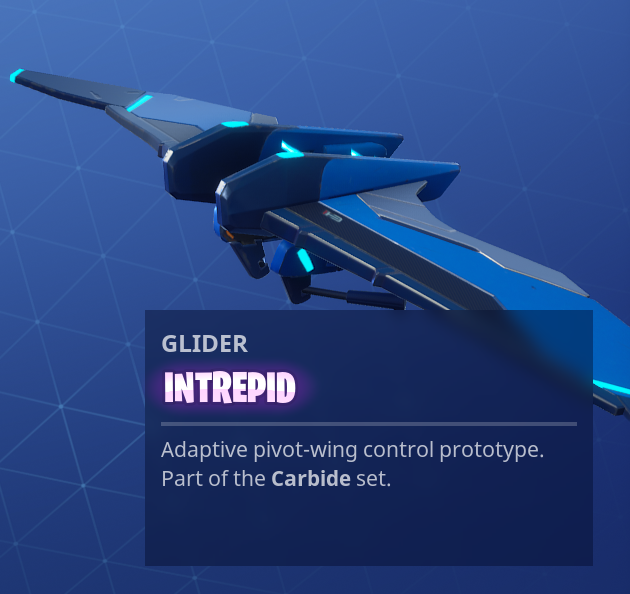 Intrepid is arguably the coolest-looking glider this season, as it is part of the Carbide set and matches up perfectly with the skin you unlock at tier one. 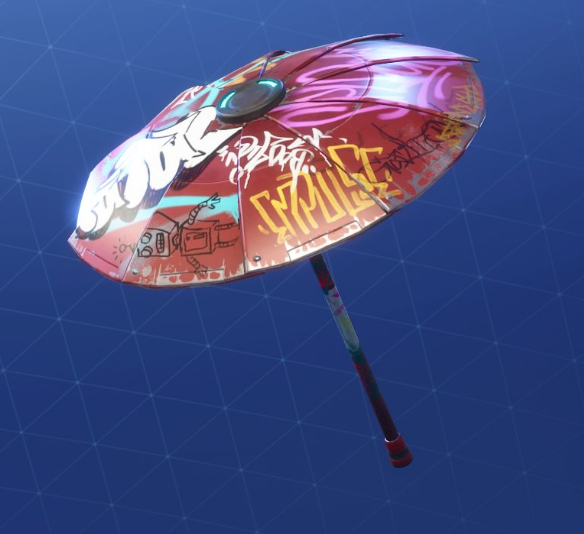 Earning your first win in season four will get you this funky-looking umbrella with graffiti on it. 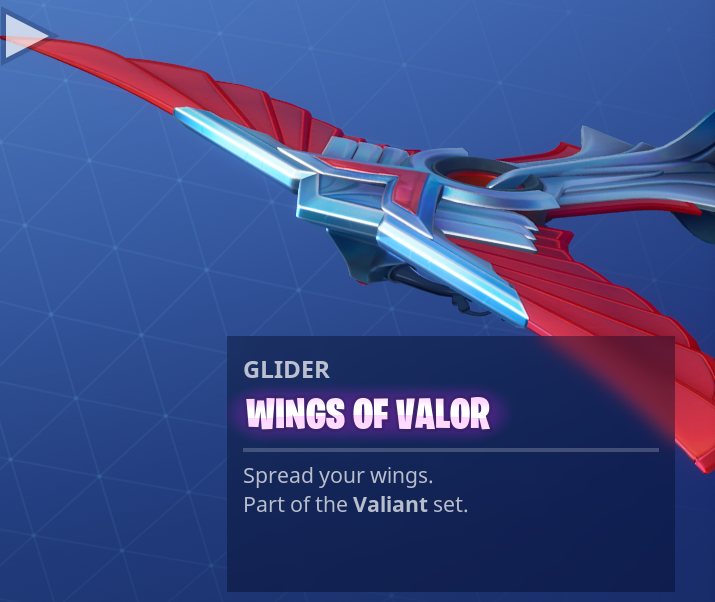 Valor's pickaxe features wings and a very pointy end that will undoubtedly come in handy while harvesting materials around the new post-comet map. 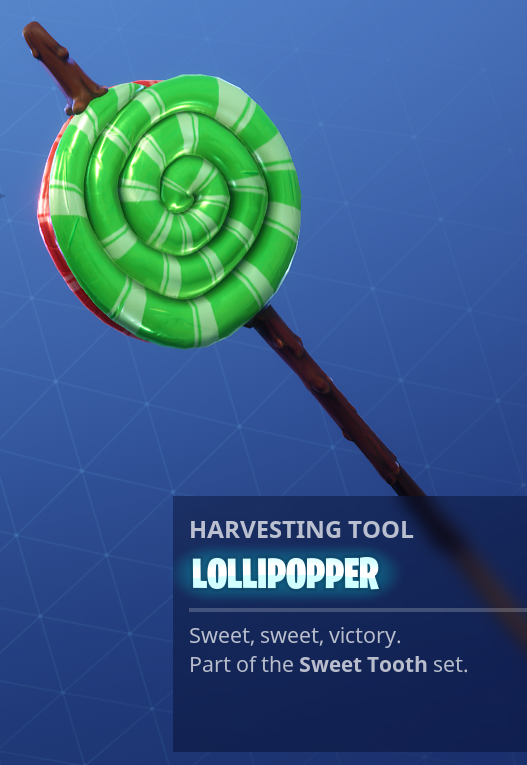 The deranged Candyland reject Zoey will love this new lollipop pickaxe. Using this pickaxe on an enemy will not make them any less angry, though. Both Carbide and Omega's pickaxes can be unlocked via their challenges once you own both skins.